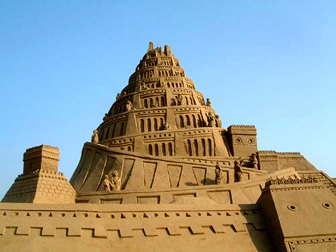 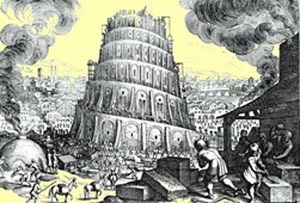 Many archaeologists and historians believe that the Marduk Ziggurat in ancient Babylon was known as the Tower of Babel. 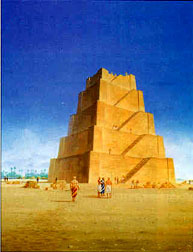 The ruins of this ziggurat still exist in Iraq near the banks of the Euphrates. 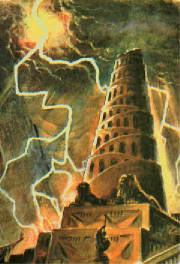 Here is a reproduction. 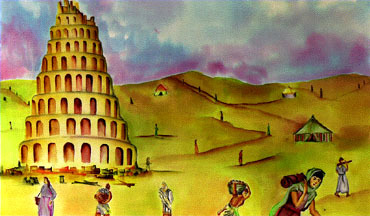 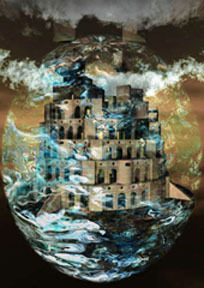 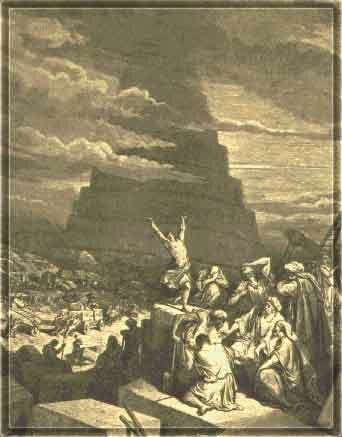 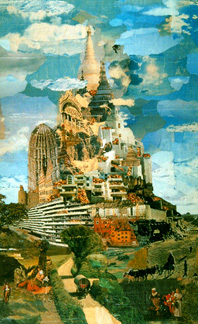 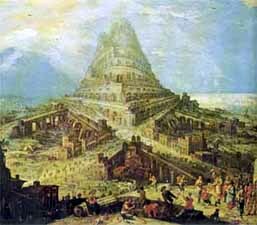 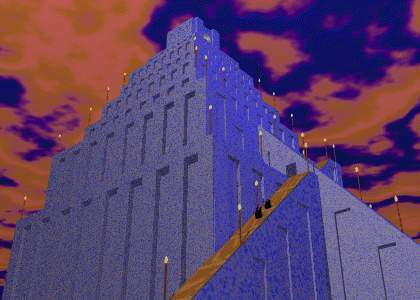 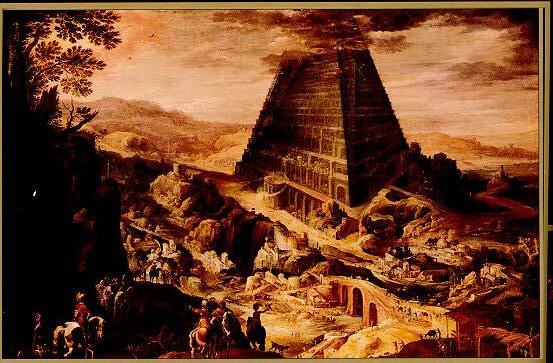 Below are several imaginative renditions of the Tower of Babel by various artists. 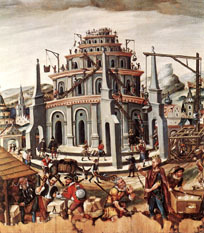 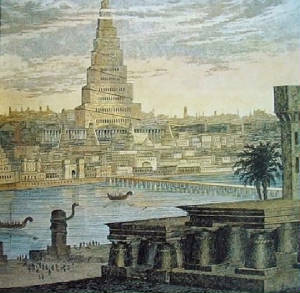 First is a painting depicting the tower under construction. 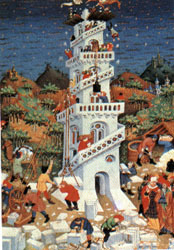 This is an old painting of the tower after construction. 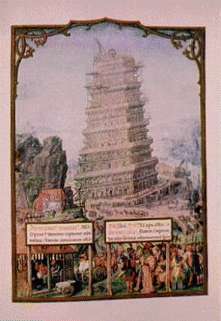 The next image is an illustration from Genesis taken from a very old bible. 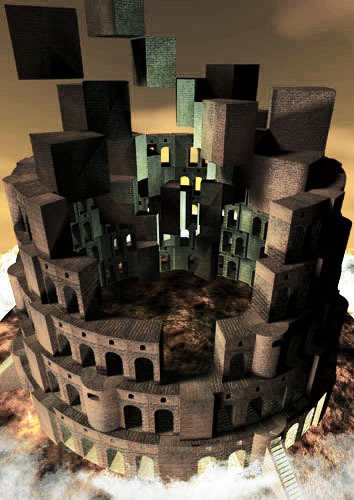 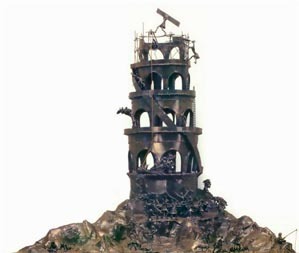 Below are several surreal renditions of the Tower. 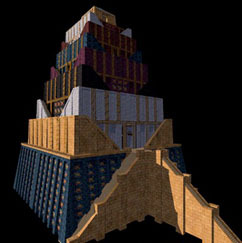 And finally, here are several quaint renderings of the Tower. 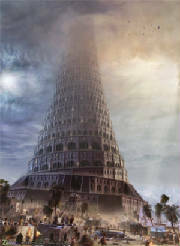 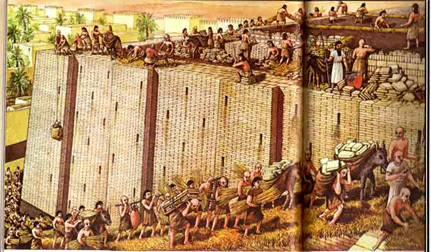 If you want to read Nebuchadnezzar II's inscription on the foundation of the Tower of Babel, click below. 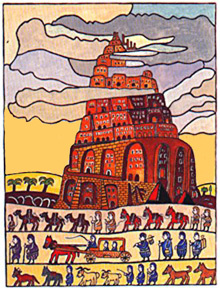 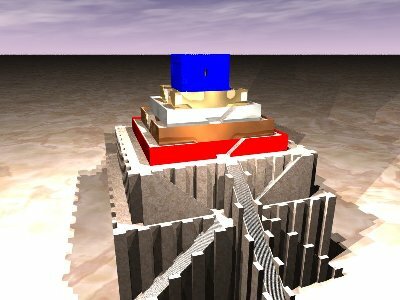 If you have or come across any images of the Tower of Babel which aren't shown here, please leave me the url so I can incorporate it to this page.